Vajrasana is one type of sanskrit word which has two ancient parts Vajra and Asana. 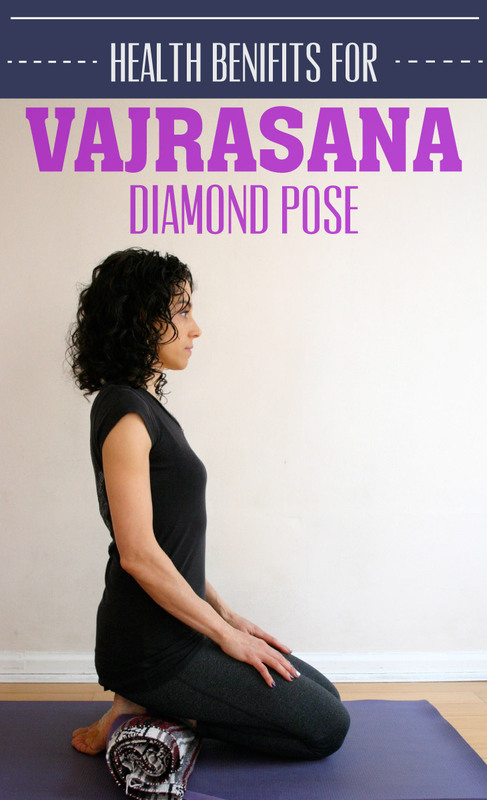 Vajrasana Steps ImageVajra means Diamond or Thunderbolt that is why this yoga is also known as Yoga Diamond Pose. It is one kind of sitting exercise. Here we show you the steps for how to do Vajrasana and also showcasing some of the important and useful Vajrasana benefits which one should obtain by practicing it daily. First of all fold your knees such that they are in touch with each other and sit on pit which is formed by heels. Now keep your head, neck and spine in straight position. After that put both your palm on knees or thigh. It is one of the most comfortable and easy asanas. Vajrasana is practiced for pranayama, meditation and for practicing other different asanas. It is suggested that one should practice this asana until one feels relax and comfortable. This asana should be practice for at least 3 minutes. Vajrasana is one type of asana which increases digestion power and reduces the chances of gas and acidity. The important fact which makes this asana special is that it can be practiced just after meal. If one practice this asana for 5-15 minutes then he can able to get relief from problems related to acidity and constipation. While practicing Vajrasana our important energy moves upwards from Muladhar to Sahaskar Chakra that is why it is much helpful for Kundalini awakening, Pranayam and for meditation purpose. This unique asana is much helpful to get relief for those who are suffering from back pain, sciatica pain and waist pain. It is one of the best asanas which helps women to get relax from waist pain, pelvic strain or burning sensation during their menstrual period. Vajrasana is a very effective exercise for recovering from menstrual disorders and problems like abortion. Vajrasana benefits pregnant women for having easy child birth..